Germany is the Albania's largest donor. The focus of the new fund - € 164.4 million - will be the economy, improving people's lives, helping EU integration and regional projects, writes today Deutsche Welle. A fund of 164.4 million euros that the Federal Government will deliver to Albania for the period 2019-2021 is published at the conclusion of the two-country government talks on developing policies on Thursday (22.11). Talks were held in Tirana headed by the Minister of Finance, Arben Ahmetaj about the the Albanian side for the German side by the Director of the Directorate for Southeast Europe at the Federal Ministry for Economic Cooperation and Development, Dirk Schattenschneider. In a press release from the German Embassy in Tirana it is announced that in addition to the above mentioned fund, the German Bank for Reconstruction (KfW) will provide a loan of 100 million euros to the Albanian Ministry of Finance. Since July 2016, Germany has made available for joint projects with Albania a sum of € 102.5 million, becoming its largest bilateral donor. "The record figures are a proof of the great importance the Federal Government pays to Albania's support to its path towards the European Union. 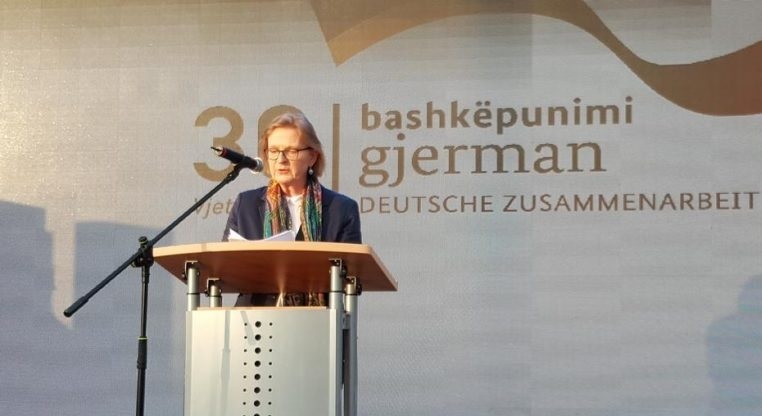 In the last 30 years, we have been standing alongside Albania and we will continue to remain a reliable partner," said the German Ambassador in Tirana, Susanne Schütz, after the end of the government talks.